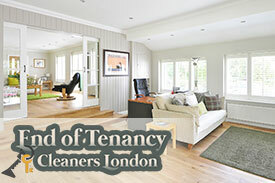 We have been in the field of end of tenancy cleaning in NW3 Hampstead, London for many years. We have team of cleaning experts that are professionally trained and are specialist in this field. You can be rest assured that your rented property in Hampstead will be in the hands of skilled professionals and they will treat your house as their own. The cleaners will be sent to your house with proper equipment and bio-degradable detergents. Our cleaning professionals will make your flat or house look better than before. We provide our services in Hampstead to landlords, letting agents and tenants. We understand the requirements of our clients and deliver expected results. The estate agents as well as the inventory companies look for high standards when it comes to professional end of tenancy clean. We make a survey of your house and then start the cleaning process. Generally 2 bedrooms flat will require 2 to 3 cleaners and it takes them around 16 to 20 hours to clean whole property. 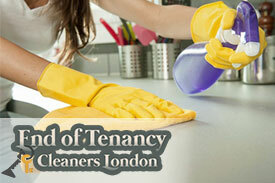 When the cleaners reach your house please mention your requirements and special requests. While we clean the house we will pick up and drop of the keys of the property. Our clients also take the pictures of their property before and then after the cleaning. Though some cleaning companies don’t entertain this we don’t have problem with client taking pictures. Below you can read the feedbback of some customers from Hampstead that have used our end of lease service. You team did a great job cleaning our apartment in hampstead! They got into all the details, and were on-time and courteous. I would definitely use them again. We have been extremely pleased with the cleaning solution offered by your company! We’ve hired them to come every other week to do the kitchen, bathrooms, dusting, and general upkeep of common areas. Their punctuality and efficiency is admirable: this is a licensed business and they take their work seriously.